Fifteen-year old Jamie Bates has a fail-safe strategy for surviving high school: fit in. Keep a low profile. And, above all, protect his biggest secret—he’s gay. So when a classmate discovers the truth, a terrified Jamie decides it’s time to change. After accepting flirtatious advances from Celia, the richest and most beautiful girl in school, Jamie steals an experimental new drug that’s supposed to “cure” his attraction to guys. At first, Jamie thinks he’s finally on track to living a “normal” life. But at what cost? As the drug’s side effects worsen and his relationship with Celia heats up, Jamie begins to realize that lying and using could shatter the fragile world of deception that he’s created—and hurt the people closest to him. 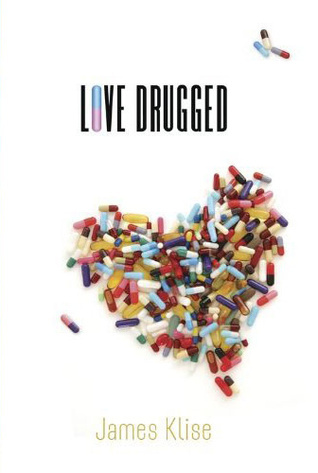 A star-crossed romance with humor and heart, Love Drugged explores the consequences of a life constructed almost entirely of lies . . . especially the lies we tell ourselves. Jamie was a very easy to relate to. He made me laugh a lot and showed the inner struggle that all teenagers have to fit in. The rest of the characters all had their quirks and continued to make me laugh. I wish that there had been more about a few of the characters or that they were in the book more. The plot was rather unique and I seriously can't compare it to any book that I have read. I found this book to be very funny, while having serious undertones about being an outcast while being a teen and unsure about who you are. Klise made a fantastic debut that I enjoyed immensely. I would recommend this book to anyone that has ever felt alone or like an outcast. Love Drugged is an authentic book that is sure to keep you thinking.